FRAMED PRINT. 22x18 inch (56x46cm) Framed Print with Black Satin with Off-White Digital Mat. Artwork depicting GEOMANCY COMPASS. CHINA Compass used by diviners practising feng-shui, system of geomancy determining the location of buildings ac. Shipping from USA. 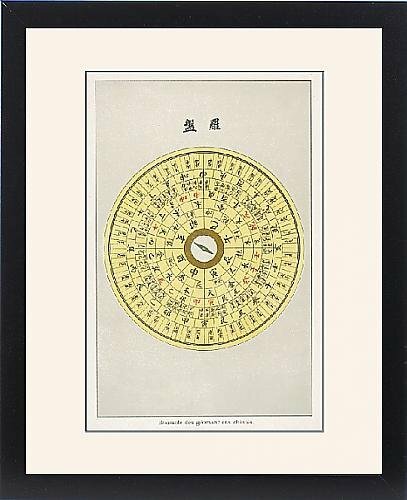 Artwork Description... CHINA Compass used by diviners practising feng-shui, system of geomancy determining the location of buildings ac.